BERLIN - A U.S. military hospital in Germany says Army Sgt. Bowe Bergdahl is in "stable condition and receiving treatment for conditions requiring hospitalization" after arriving from Afghanistan and five years of captivity. The Landstuhl Regional Medical Center says Bergdahl's treatment "includes attention to dietary and nutrition needs after almost five years in captivity" but declined to release further details about his medical condition due to patient privacy laws. The hospital said in a statement Monday that "there is no pre-determined amount of time involved in the reintegration process" for the 28-year-old. They continued: "The Landstuhl staff is sensitive to what Sgt. Bergdahl has been through and will proceed with his reintegration at a pace with which he is comfortable. The full focus of the Landstuhl team remains to provide necessary medical care and a safe environment for his recovery. Upon completion of his care in Germany, Sgt. Bergdahl will be transported for continued medical care in the United States." Bergdahl was freed on Saturday in a prisoner swap with the Taliban brokered by Qatar. He had been captured in 2009 shortly after deploying to Afghanistan and held in captivity by the Taliban. Officials believe he spent most of his captivity in remote areas of Pakistan. Defense Secretary Chuck Hagel, defending against critics of the prisoner swap, said Bergdahl's "safety and health were both in jeopardy" at the time of his rescue. At a press conference Sunday, Bob and Jani Bergdahl, Bowe's parents, said they expected a long and hard recovery for their son. 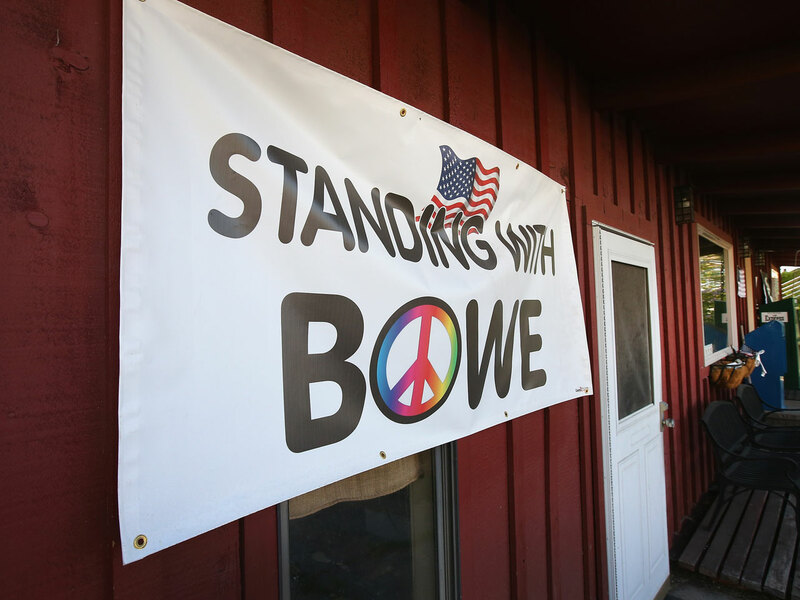 "Bowe has been gone so long that it's going to be very difficult to come back," his father said. Not much is known yet about the conditions of Bergdahl's captivity, nor his treatment by his captors. A Pakistani militant commander told Agence France Presse on Sunday that Bergdahl played badminton with his captors, and developed a fondness for kawa, an Afghan green tea. "He was fond of kawa (Afghan green tea). He drank a lot of kawa all day, which he mostly prepared himself," the commander told AFP by phone from an undisclosed location in Pakistan's tribal areas. National Security Adviser Susan Rice said Sunday he had lost considerable weight and faced an "acute" situation. Yet she also said he appeared to be "in good physical condition" and "is said to be walking." One official said that U.S. officials, after seeing a proof of life video, were concerned about Bergdahl's health and believed that with the uncertainty of not knowing exactly what condition he was in, there was a greater sense of urgency. This official, who spoke on grounds of anonymity because the person wasn't authorized to discuss the subject by name, said there also were concerns about Bergdahl's mental and emotional health. The 'good health' statement was more an observation that he was able to move on his own, and wasn't in such bad shape that he had to be helped or carried, the official said. In weighing the swap, U.S. officials decided that it could help the effort to reach reconciliation with the Taliban, which the U.S. sees as key to more security in Afghanistan. But they acknowledged the risk that the deal would embolden insurgents. The Obama administration has come under attack, mostly from conservative circles, for making the deal.